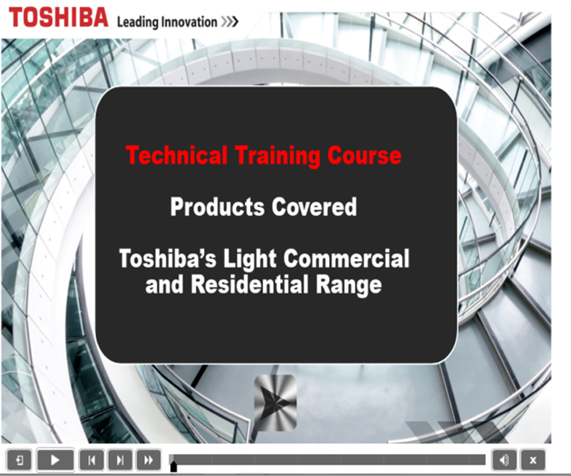 Air conditioning installers can now access high quality technical training online using a new portal developed by Toshiba Air Conditioning UK. It enables customers to learn at their own pace, in order to qualify for Toshiba’s industry-­leading seven year warranty. 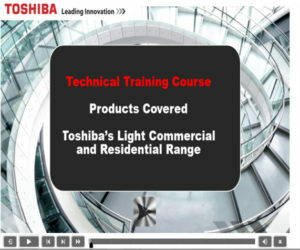 The online training has been launched to augment Toshiba’s popular classroom-­ based training courses, and is aimed particularly at busy engineers keen to update their skills at a time to suit them. It uses a combination of instructional videos, pictures and bite-­sized information that users can study and return to at any time. Users have their own training account which records the courses they have successfully completed, either online or physically in the classroom. This provides automatic validation for warranty cover for equipment installed by each user, in accordance with Toshiba’s terms and conditions. 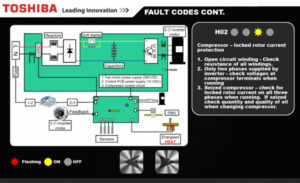 The courses, which also offer downloadable content that can be used on site as an at-­a-­ glance reference, are free to customers of Toshiba Air Conditioning UK. 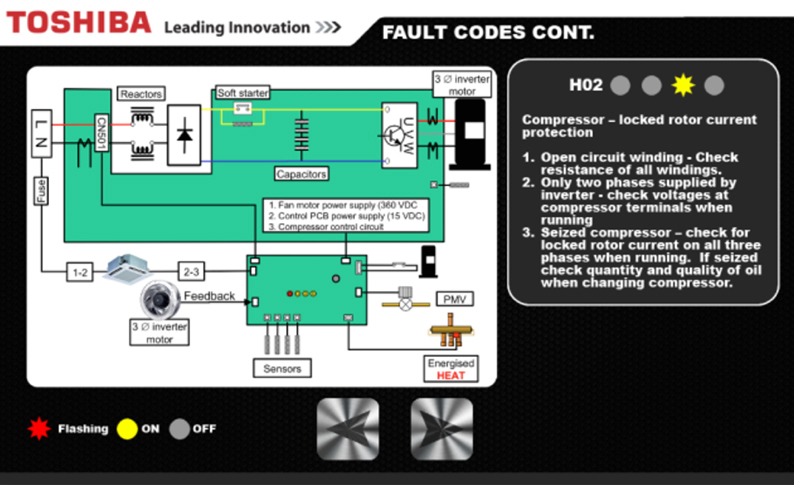 Toshiba plans to develop the online training programme over time, with the addition of new courses on system design and application, as well as key technology topics, such as compressors and related components.